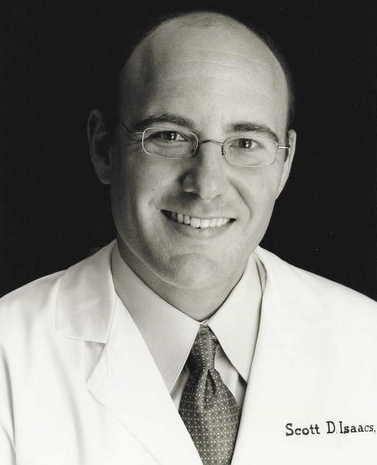 Welcome to YourEndocrinologist.com, the official author website for Scott Isaacs, M.D. Anyone can achieve permanent weight loss through hormonal balance. I believe that by balancing your hormones you can achieve optimum health and sustained weight loss. Hunger hormones like leptin, ghrelin, peptide YY, glucagon-like peptide-1, cholecystokinin and amylin produced fat cells and intestinal cells regulate your appetite, cravings and metabolism. Thyroid hormone, cortisol growth hormone, insulin, testosterone, estrogen and many other hormones also play key roles in regulating your body weight. In order to lose weight and keep it off, your hormones must be balanced. Losing weight is not about willpower. Almost everyone has had the experience of losing weight. But eventually the weight loss stops. And then slowly (or sometimes rapidly) you start gaining back the weight. This is not your fault, nor is it lack of willpower. This happens because of hormones that regulate appetite, metabolism and body weight set-point. If these hormones are out of balance, sustained weight loss can be next to impossible. In order to lose weight and keep it off, you must address your body's biochemistry. By balancing your hormones, you can lose weight through the science of endocrinology and correction of hormonal dysfunction, not willpower. Out of balance hunger hormones are the source of excessive hunger and cravings along with a slow metabolism. But your weight doesn’t have to be a victim to these hormones. The Hormonal Health Diet helps you outsmart your hunger hormones to speed up metabolism, reduce hunger and cravings and enhance the satisfying effect of food. By learning a new way to eat and live – you can control your hunger hormones. Get inside Information from a practicing endocrinologist.